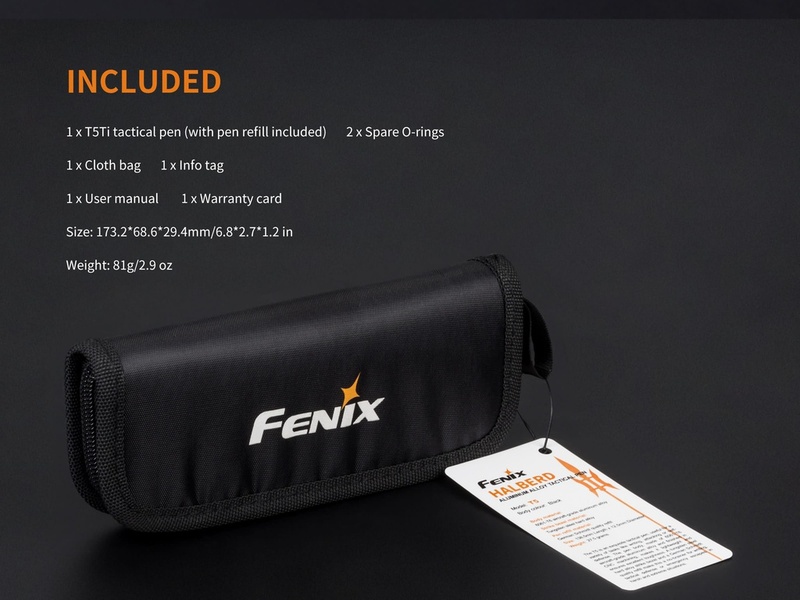 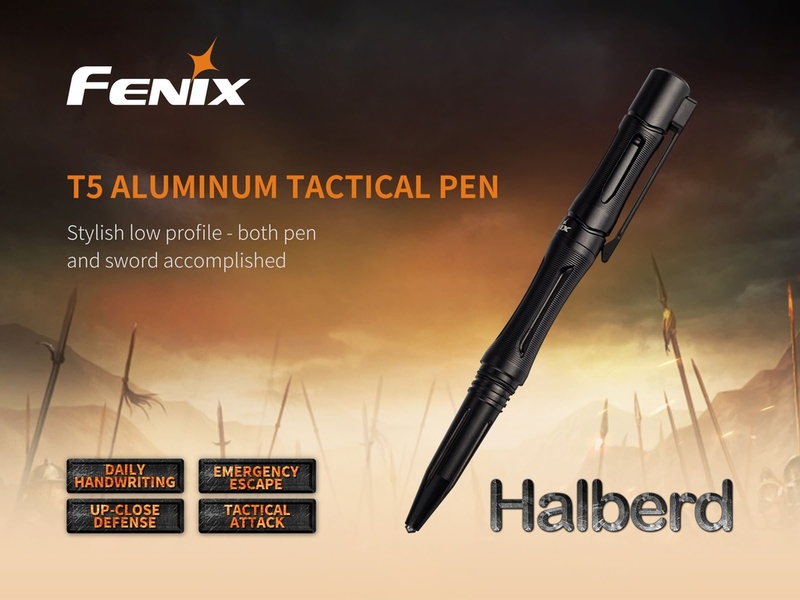 The Fenix T5 is an exquisite tactical pen, useful for a variety of tasks like writing, attacking and self-defense. 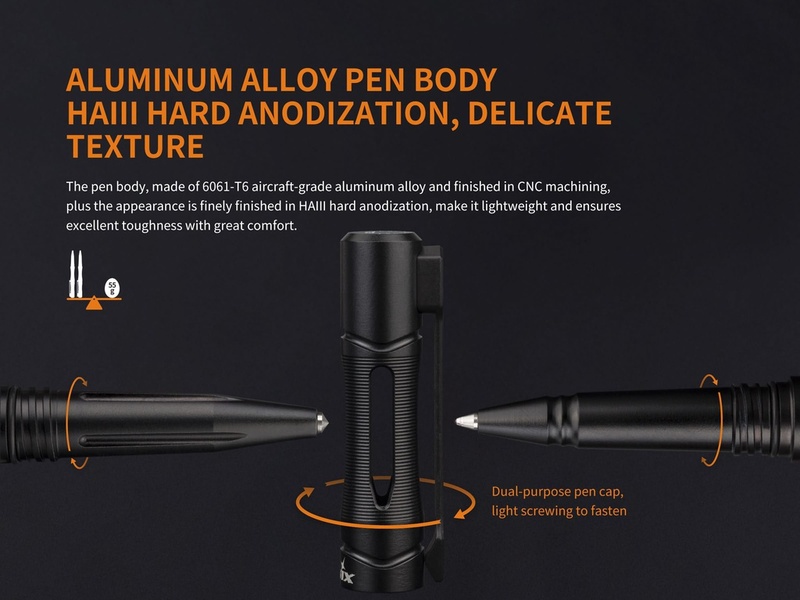 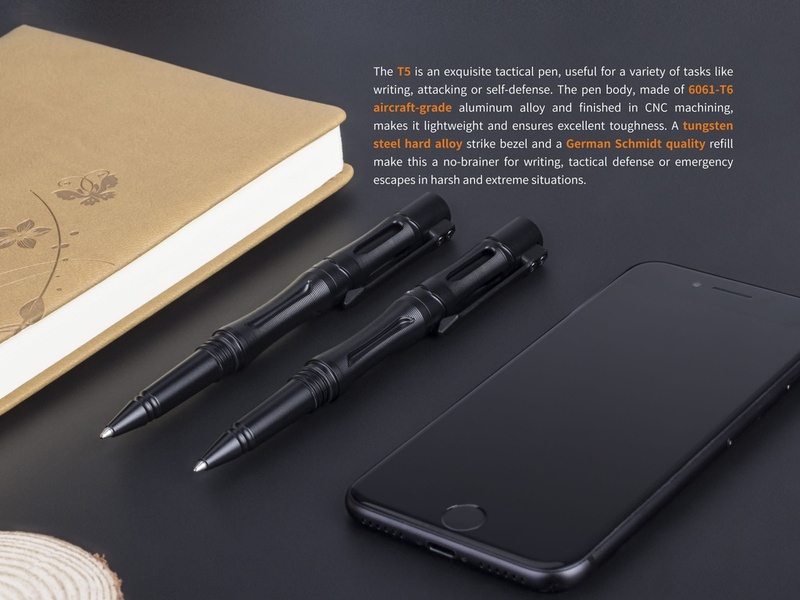 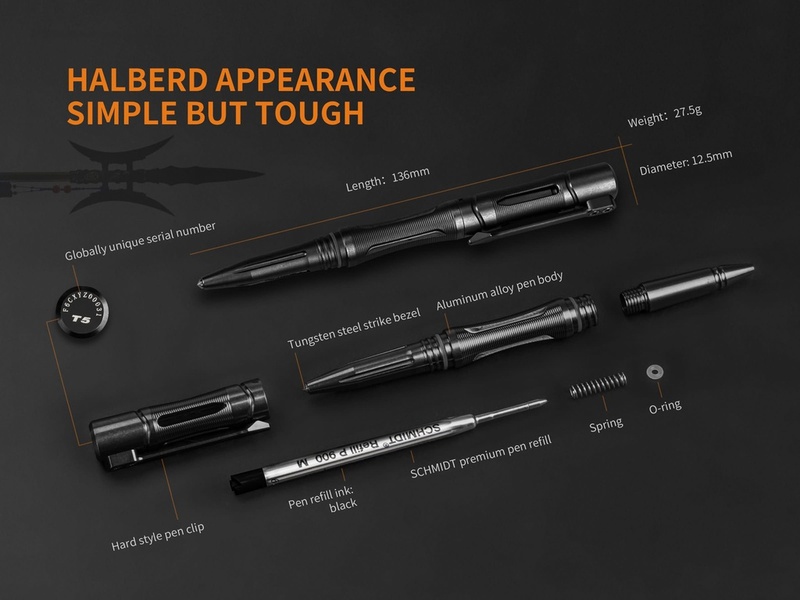 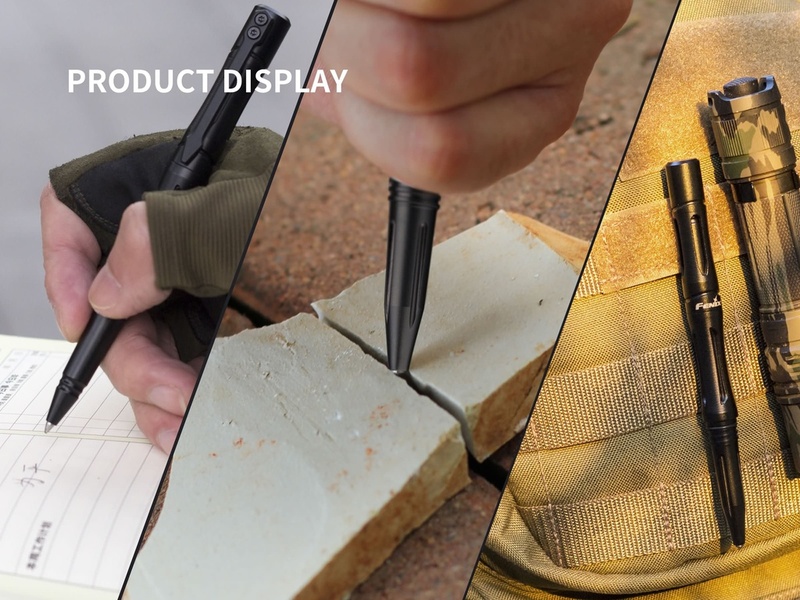 The tactical pen body, made of 6061-T6 aircraft-grade aluminum alloy and finished in CNC finish machining, makes it lightweight and ensures excellent toughness. 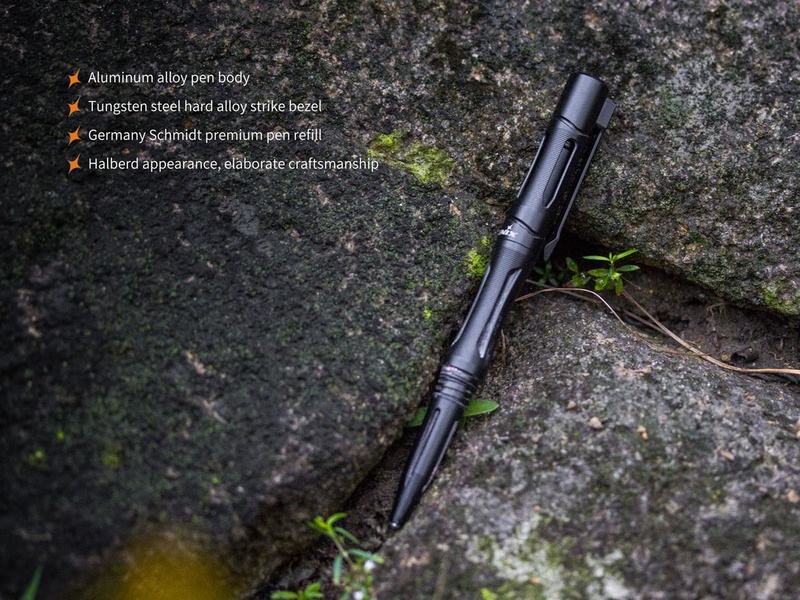 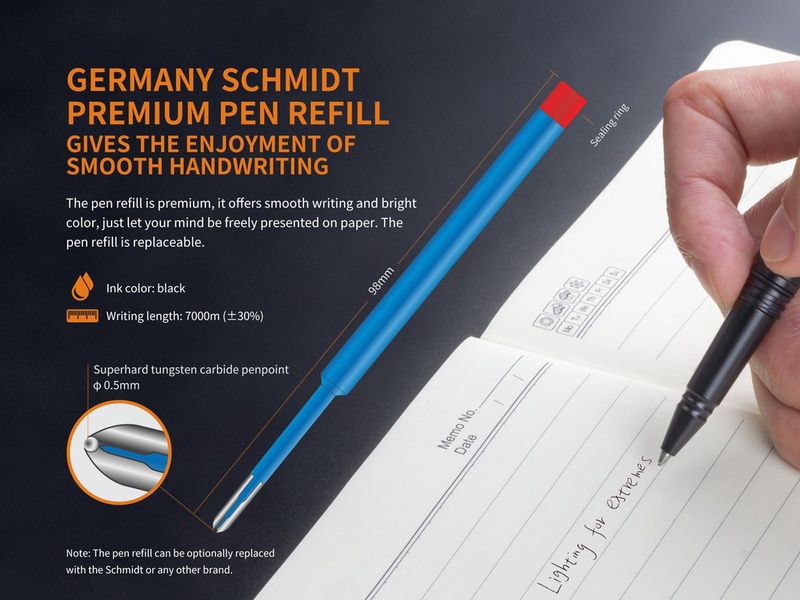 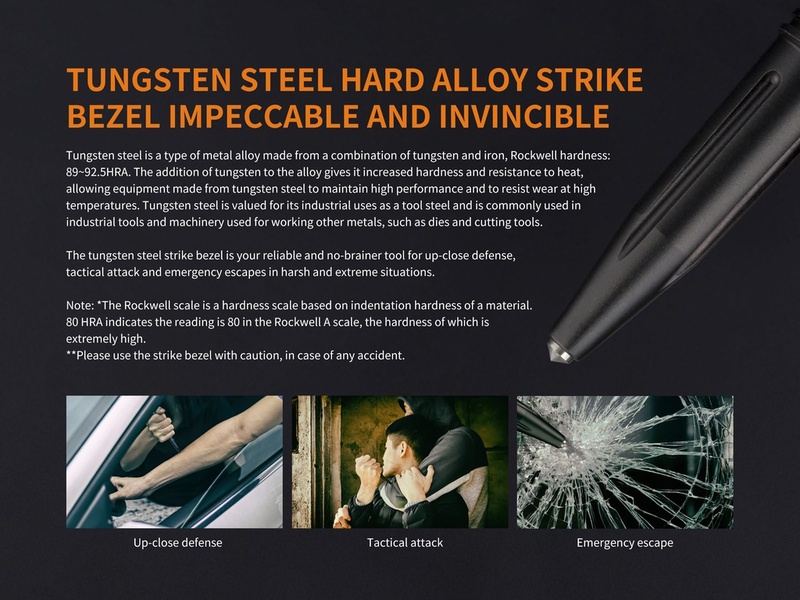 A tungsten steel hard alloy strike bezel and a Germany Schmidt quality refill make this a no-brainer for writing, tactical defense and emergency escapes in harsh and extreme situations.